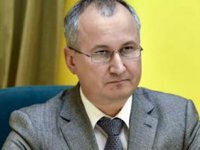 The organizer of the attempted murder of Russian journalist Arkady Babchenko was planning to kill 30 people in Ukraine, head of the Security Service of Ukraine (SBU) Vasyl Hrytsak said at a press briefing on Wednesday. "The organizer of this crime said it is necessary to exterminate - just think of the number! - 30 people on Ukrainian territory [...]. We know the names of some of the potential victims, but I won't disclose them," Hrytsak said. Russian journalist Arkady Babchenko, whose death from gunshot wounds was reported by the Ukrainian authorities on Tuesday, said earlier on Wednesday that he had been involved in a special operation to avert terrorist attacks in Ukraine one month prior to his "killing."